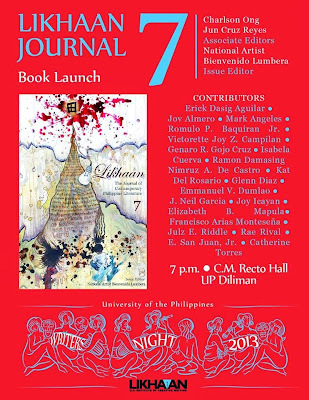 The 7th issue of Likhaan literary journal will be launched on December 6, 2013 at 7-8pm at Pulungang Claro M. Recto, Bulwagang Rizal (formerly Faculty Center), College of Arts and Letters, University of the Philippines Diliman. 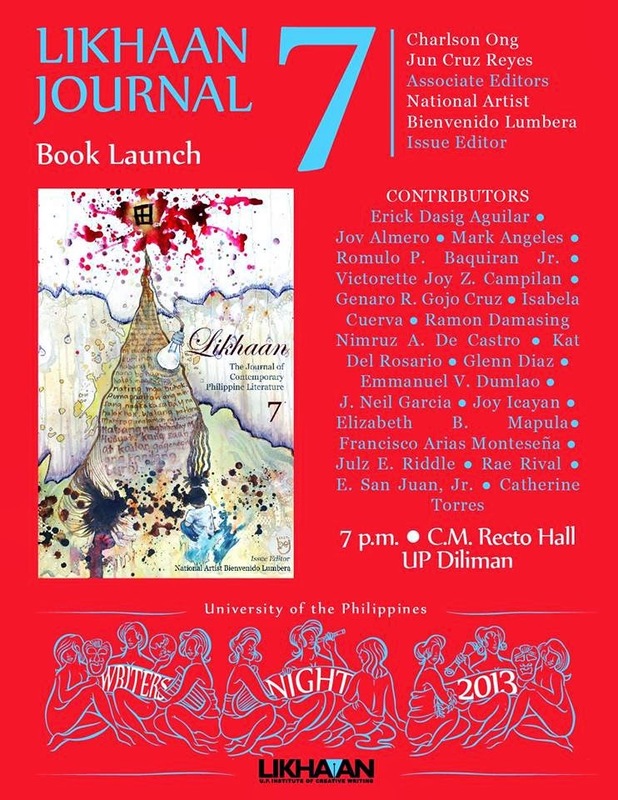 Likhaan is being published by the University of the Philippines Institute of Creative Writing. Issue editor National Artist for Literature Bienvenido Lumbera and associate editors Charlson Ong and Jun Cruz Reyes will be at the ceremony honoring this year's contributors. The book launch comes right after the Madrigal Gonzalez Best First Book Award Ceremony and before the auction and party and the rest of UP Writers Night. Anybody who loves to write, read, or both is welcome to join us.